In my early 30's when most women were starting families, I was starting to live life as if I was a 70 year old who had just retired. I started traveling the world (while having a full-time job), finding my passions, cultivating new hobbies, buying a convertible and just experiencing life to its fullest. I had also meet a guy who would become my on and off boyfriend for the next 13 years and now the father of our baby girl. We are still together just in case you are wondering. So motherhood for me started a little late. We had a couple of losses in which I learned a lot about fertility, eggs, reproduction and a lot of other stuff. Coupled with my experiences of almost being a mother, becoming pregnant and now finally being a mommy of a beautiful healthy girl I felt the urge to share what I learned along the way and what I continue to learn with other moms via a MOM BLOG. Had a lot of information that I wanted to share. Wanted to know other new moms out there. Wanted to get out of my comfort zone and be a consistent writer. Make some extra income for my family. I can't write! I hate writing! There are too many mom blogs out there. I don't even know where to begin, so what's the point. I don't have enough time! I must be crazy. Who's going to read my blog anyways! What in the heck am I going to write about. As you can see, my cons out-weighted my pros but for some reason I felt like I needed to share my experiences and start a mom blog. It was more of a strong feeling. So after talking myself into it, I dove right into the blogosphere. No turning back now!! What is my purpose or intention for my new blog? Who is going to be my target audience? aka who is going to read my blog. What types of posts will I provide? How can I help new moms? How will I monetize my blog? Whether it's starting a mom blog, traveling to a new location, buying a new product, etc. I always do an extensive research on how to do it best or find the best product. 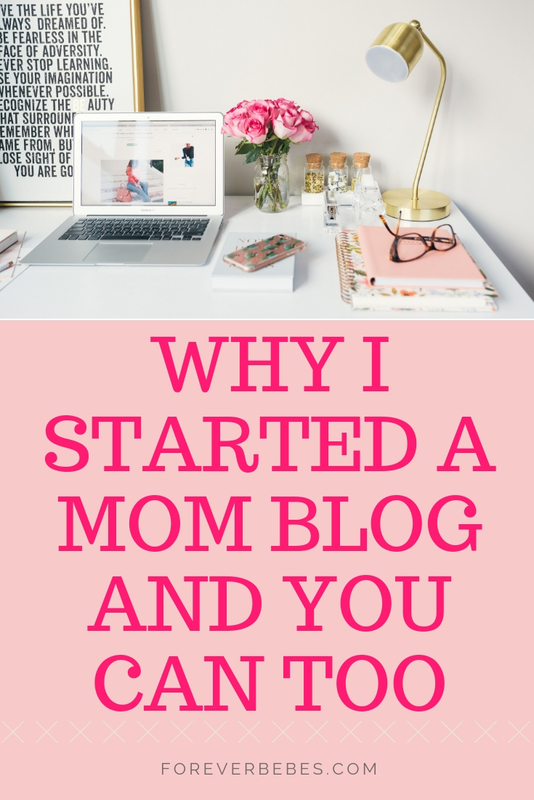 So while scouring the internet I found a blog post about how to start a mom blog and two ebook that I purchased immediately. They both resonated with me right of the bat. They were Blog by Number - How To Start a Blog as a Mom Bundle and Make Money With Amazon Affiliates. Blog By Number gives detail information with worksheets and examples on how to begin which was essential since I had no idea what I was doing. The one ebook, is for Amazon Affiliate blogging. I had already chosen Amazon as my affiliate because I almost everything on there aside from groceries and my clothes, so why not. Why not promote what I loved from Amazon and get paid for it. I've many blog posts on Amazon Affiliate program but nothing compared to the ebook I purchased from Suzi. I highly recommend both!! So Why Should You Start A Mom Blog? You have something to share, whether it's a personal story that can shed some light to others, a passion such as photography, knitting, bullet journals, mom tips for babies, financial ideas for new families. you name it! There is an audience for everything. Yes, you do have time. For example, my Olivia is playing on the floor with her dad as I write this. You can write after your little one goes to bed, while napping, or before she or he wakes in the morning. Don't know how to begin! Believe me this thought can stop anybody from doing anything. You just have to push through. These two ebooks, Blog by Number and Amazon Affiliates Ebook and Course will help and guide you through the process.